Knowing is half the battle! Follow these safety and usage guidelines to avoid potentially serious injury to people and/or damage to your new neodymium magnets. Neodymium magnets are not toys and should be treated as such. Neodymium is the most powerful Rare Earth compound available commercially. If not handled properly, especially when handling 2 or more magnets at once, fingers and other body parts can be pinched. Powerful attraction forces can cause neodymium magnets to slam together with great force and may catch you by surprise! 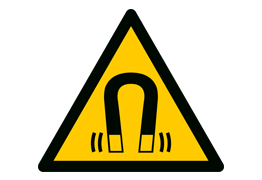 Be keenly aware of this and wear appropriate protective equipment when handling and installing neodymium magnets. As mentioned, neodymium magnets are very strong and can cause physical injury. Small magnets are a choking hazard. If swallowed, magnets can attach to one another through the intestinal walls. This requires immediate medical attention and can cause serious intestinal injury or death. Do not treat neodymium magnets the same as toy magnets and keep them away from children and babies at all times. Strong magnetic fields can adversely affect pacemakers, ICDs, and other implanted medical devices. Some implanted devices come equipped with a magnetic field shutdown feature. Avoid placing neodymium magnets near these types of devices at all times. Do not machine or drill neodymium magnets, as neodymium dust is extremely flammable and can present a fire hazard. 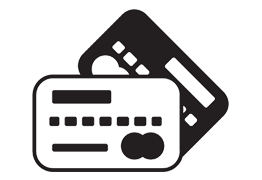 Avoid placing strong magnets near magnetic media, such as credit/debit cards, ATM cards, membership cards, computer discs and drives, cassette tapes, videotapes, televisions, computer monitors, and CRT displays. Although most of our products have the neodymium disc protected by a steel pot, the neodymium material itself is extremely brittle and fragile. Do not attempt to remove the magnet disc from the pot as it will likely crumble. When handling multiple magnets, allowing them to snap together with force can cause breakage. Our neodymium magnets come with a triple-plating to mitigate corrosion. However, when used underwater or outdoors with the presence of moisture, corrosion can occur over time which will degrade the magnetic force. Handling with care to prevent damage to the coating will prolong the life of your neodymium magnets. To repel moisture, keep your magnets and hardware coated with WD-40® or a silicone lubricant. Do not use neodymium magnets near extreme heat sources. For example, the firebox on your grill. Or the engine compartment or near the exhaust system on your vehicle. The operating temperature of a neodymium magnet depends on its shape, grade, and usage. But they can lose strength if exposed to extreme temperatures. The most common grade magnets withstand temperatures to roughly 80°C (175°F). Strong magnetic fields interfere with navigation equipment, like a compass and magnetometer. They can also affect internal compasses of GPS navigation devices, smartphones, and tablets. Monster Magnetics® products are prop 65 compliant. See our California Proposition 65 Statement for more information. Wear appropriate personal protective equipment when handling and installing neodymium magnets. When working with many magnets, keep them separated to avoid them slamming together. Do not attempt to remove the magnet from the pot, and do not drill or machine neodymium magnets. If pinched, immediately apply ice to the affected area and seek medical attention. Clean magnets with a cloth dampened with warm soapy water. Do not submerge in water. Allow to air dry. To repel moisture, coat magnets and hardware with WD-40® or a silicone spray lubricant. When handled, protected, and maintained properly, neodymium magnets will deliver years of service. Get updates right to your inbox. We're happy to notify you when we release new products, have Monster Deals & Flash Sales, and fun contests.